Today, 7 of the 10 leading causes of death in the United States are chronic diseases, and almost 50% of Americans live with at least one chronic illness. The numbers are alarming. That's WHY I created this episode with you in mind -- a concerned individual who wants to improve their health and live better, but is confused by the mountains of conflicting information out on the web. So, listen to this episode and find out 5 science-backed ways to take back control of your health and live a legendary life! Listen Now! You’re serious about looking and feeling great. You’re determined to make your workouts count. You load up a carefully curated playlist, fight your busy schedule to get to the gym, and resist every urge to skip those one or two exercises you never seem to find comfortable. Well done! But an optimal workout doesn’t end there. Knowing how to personalize your workout plans to meet your fitness goals is the most important thing you can do for your body beyond showing up at the gym. I created a list of five rules you should follow to personalize your workout and get great results. Listen Now! 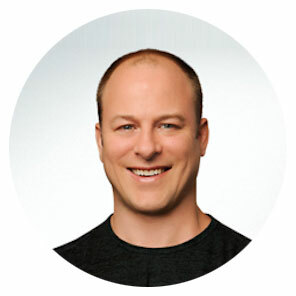 176: Ted Ryce: Diet Versus Exercise – Which One Is Better For Burning Fat? You’ve set a health goal—to lose weight, increase your energy, and look better naked. So what approach will work better, diet or exercise? It’s a no-brainer that diet and exercise are both crucial to your well-being and your belly. Listen to this episode to find out what recent research revealed and my take on it.